The Romans first came to Britain under Julius Caeser in 55 BC but the actual conquest and annexation of Britain to the Roman Empire happened under Claudius in AD43. That much we know. What we don’t know is where or when the massive force of four legions and auxiliaries landed. It has always been assumed that it was on the Kent coast, probably Richborough, but the latest thinking is that it happened on the Sussex coast in the creeks of Chichester harbour. As with so much in the history of this period, I’ve been free to choose a version, and I’ve chosen the second. I cannot offer any evidence, only instinct. Another presumption is that, having landed in Kent, the invaders made battle at the Medway, crossed the Thames, took Colchester and called it a day. Well, that’s not much of an invasion. That’s a bite. With that version, it is left to Vespasian and the Second Legion to conquer all of the rest of southern Britain, but the historians say his glory rests on the conquest of the south west, particularly Dorset. Apart from the Medway, there are no battles on record as having taken place in the east. Funny kind of invasion. Let’s replace one set of assumptions with another. It is Verica, king of the Atrebates, with his capital at Chichester, who goes to Rome seeking help against the marauding Catuvellauni. If the Catuveallauni, under Caratacus, have taken Verica’s northern capital of Silchester, then the Romans would want to regain that place first. Chichester to Silchester is a straightforward journey. Then three legions head off east to conquer the other Catuvellauni capitals of St Albans and Colchester, while Vespasian heads west to deal with the Durotriges. As a novelist your prime objective is not truth so much as plausibility (in the hope that they may turn out to be the same thing). But this story only makes sense if you put Silchester (Calleva) at the heart of it, and that is what I have done. I am fully prepared for new evidence to emerge the day after publication, some stone engraved CLAUDIVS HIC ERAT, perhaps, dug up near Richborough. (Although since Claudius arrived a couple of months after the army he himself could most plausibly have landed in Kent). But I am heartened that those who have objected to the Chichester theory are beginning to come round, including the great Barry Cunliffe. It makes sense of a subtle kind of history, the history that is not recorded in words: central southern Britain survived the turmoil of the next twenty years. The rebellions of Caratacus and Boudicca happened in the west and east. How did the south stay quiet? 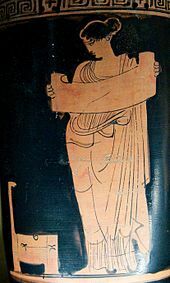 We need to look at the heir of King Verica: Togidubnus who, according to subtle history, was a man of peace. And he is the hero of ‘Keepers of the Sacred Place’. So, now I’m going to go and make a list of my subplots and make sure they all have beginnings, middles and ends. ‘Writing’ is such an ambiguous term. We are fools if we think it only means putting words on a page. It’s that time of year – Dickens on every channel. You can’t have Christmas without Charles D. I grew up as a child thinking there was something wrong with me because I didn’t like Dickens (preferred cowboy stories in pulp fiction) and that one day I would have some kind of conversion experience, but it has never happened. If I got gripped by the BBC version of Bleak House it was because of the production, not the story. I can get through Dickens on film but have never read a book, so everything I say here is based on adaptations. Hardly fair, but perhaps it helps me to see the problem whereas, deep in the prose (and I have no doubt it is very good prose indeed) I would lose a broad view of the story. 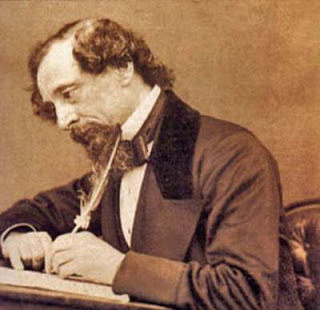 It is a truism of Creative Writing (the dogmas of which have only really been formulated in the past fifty years) that All Characters Must Change and in Dickens they don’t. Circumstances change but, even as they do, the good remain good and the bad, bad. It’s because characters don’t change that Dickens can seem two-dimensional. It’s all about character traits and not about character itself, the real person. Dickens’s characters fall into three types: the good, the bad and the peculiar. The hero, of course, is always good. It’s the kind of goodness that is never challenged. Nothing that happens to David/Nicholas/Pip makes him a fundamentally different person. Pip shows growth of character and realisation of fault in Great Expectations, but does that amount to change? 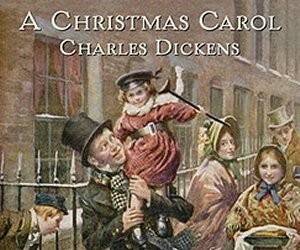 It’s probably the closest Dickens came to it, and why it is his most popular novel. For the rest, the good remain good, the bad, bad, providing us with sentimental stories that are the Christmas puddings of literature. Now that’s a bit peevish of me, given that Dickens is globally loved so long after his death. Perhaps I should be advocating we give up the Creative Writing pseudo-psychological dogmas and start coming up with stories where the good guys win against the bad, where the characters are vividly drawn and have names like Magwitch or Tulkinhorn, who you can follow through a massive book without any trouble or having to take notes. But, but, but… In the end I am the judge of my own taste and know that I can happily knit through Dickens whereas other stories demand my full attention, have plots that are thrilling, and make you short of breath with concern for the lead character. To stick with film… Take, for instance, the Jack Nicholson character in ‘As Good as it Gets’. Melvin Udall starts off a foul misanthrope who cannot bear his fellow humanity. He hates dogs and has never done a good deed in his life. As in any Dickens novel, events happen to him in quick succession, but these events are precisely tied in with his character, starting with him having to look after his gay neighbour’s dog. It’s forced on him and it begins his change into a balanced, functioning – loving – human being. Then there is the Dustin Hoffman character in The Accidental Hero (in the US, Hero). A down and out, he watches a plane crash and rushes towards it. Because we’re all basically good, we think he’s going in to rescue people but no, he’s going in to rob the dead. But he, too, is basically good and against his better judgement ends up saving a life. Then events conspire against him and the credit goes to someone else (Andy Garcia). In this film, two characters change and its wonderful to mark the subtle nuances of metamorphosis. I could watch it over and over. To be fair to Dickens, however, it should be said that he wrote under constraints most novelists would find intolerable. To write for serialisation, and to be still writing as the first episodes are published, means you do not have the luxury or liberty for story development. I think psychological stories take a great many drafts. They go deep and have three-dimensional repeating motifs. More than a character with a loopy name like Skimpole saying every time he appears, ‘I’m a child, a very child’, it has themes set up in the beginning that build and develop with every repetition right through to the end, themes that it is up to us, readers or watchers, to note. (Passive readers/viewers won’t notice them, but will enjoy their effects just the same). So, happy Christmas, everyone, and bring on A Christmas Carol (in which, I realise, the character of Scrooge does change, but it’s still sentimental for all that). Samhain was the start of the Celtic new year, so November was a good moment to begin a new novel. Although my subject is still Renaissance, it is a very different one this time and the story is set in first century Britain. So we have a new appearance for this blog! Of course I shall always remain besotted by the Italian Renaissance and it’s sister. As I walked into the exhibition at the Queen’s Gallery on the Northern Renaissance, it was like arriving at a royal soiree only to discover the presence of a couple of old and much loved friends. Durer and Erasmus, the presiding spirits of the first room, were both major characters in The Rebirth of Venus. Since the gallery is small and very intimate, the sense of being with them was intensified. Two pictures stood out. One was Durer’s portrait of Melanchthon, the other his portrait of Erasmus at his desk. The images here show nothing of the breathtaking fineness of the actual prints. In that respect, perhaps writers have it easier than painters. On the Scrivener programme I now use in preference to anything else for writing, I’ve been using the facility to make a visual gallery on the ‘cork board view’, like pinning up photos and notes as I used to do when I had walls (I now only have bookshelves). Last week I spent a hugely enjoyable period of displacement activity (i.e. not writing) by ‘casting’ my characters, browsing about amongst actors, celebrities, TV archaeologists, you name it, for some visuals. In my Renaissance novels I didn’t have to do this: almost every character had his or her portrait done by one of the leading artists of all time! So I made up my cork board of portraits of modern-day folk who more or less fitted the slightly ghostly images I had in mind for my Celts. (For the Romans, I have marble busts). Now I’ve been writing about these characters intensely for a month, although they are still in that shape-shifting stage, forever fidgeting while I try and pin them down with words. Looking at images of very real faces made me uncomfortable and, when I went back to writing, it was the ghostly image that returned to mind, not the photographic portrait I had chosen. My hero’s sidekick may fit the description of Neil Oliver, but he is not going to be played by Neil Oliver and certainly doesn’t have a Scottish accent. He resists. Small, wiry, dark – it’s the best I can do when I can’t see him. When I came upon this portrait – and others – of Erasmus in the exhibition, I realised I had never ‘seen’ him while I was writing about him. I heard him, fine and clear, but he did not perform like a puppet, this engraved image suddenly looking up from his own writing and giving me a wink. So I’m not alone in hearing rather than seeing my characters. What is your experience? Next time I return to brainstorming a character on the cork board, I shall scan in some drawings I have made because I think, like Lindsay, I could draw them at a pinch, even though they would look somewhat ghostly and uncertain, for now at least, until I have finally captured them in words. But really, what it shows us is that the physical appearance doesn’t matter. Some authors get by without making any comment on how their characters look. As Durer attempted, so is it open to the writer to achieve, to paint the spirit. Laboured paragraphs about squinty eyes and bandy legs could be counter-productive when the word which sums the character up is ‘generosity’. But such a contradiction between appearance and spirit is exactly the problem which confronts me with the Emperor Claudius; that and him having been done to perfection by Robert Graves. ‘You’re a writer?’ they ask. ‘So how many words do you write a day?’ Well, I have no idea, because most days, nine out of ten days, I am re-writing, and it could be years since that first draft. I’ve been in a bit of a fix recently, researching, at first legitimately, and then as a displacement activity, Iron Age Britain. With the equinox I should have started writing but didn’t. I’ve been footling with my notes for a month. Part of the cause was a fear that I’m past it. Writing historical fiction is so very, very hard. I can’t think of a harder form of writing: getting a good story and getting the facts right and not making mistakes. I made a few in A Gift for the Magus which, as ever, only become apparent after publication (I had three readers and two editors). So despair had set in, and I’d begun to think of alternative genres. Nature writing, memoir, biography, that kind of thing. But two friends gave the same advice: ‘Stay true to the Muse, and don’t worry about your mental powers. The less you have of those, the better.’ Because, you see, the Muse does the work, and I’d forgotten that. The Muse, when reading the words of her servant writers, does not notice mistakes or, if she does, doesn’t mention them. In something of a revelation, I realised that none of these alternative genres required the presence of the Muse at all. Non-fiction is just a name for the writer being fully in control of the material. Fiction… Well, that’s the name for the deep well of imagination in which a writer may sink or swim. The email from Alphasmart said something about a BLOMOJODOBO or some such thing (I don’t understand these acronyms flying about that seem to be about and by writers), some kind of competition to write a novel in a month. I was just about to press the delete button when my eye happened to catch the text of the mail. Using the Neo, it said, it was perfectly possible to write 1700 words a day, which would add up to 50,000 and a novel by the end of the month. The month which was to begin on the next day. Well, why not, I thought. It’s better to do that than to keep footling with notes, rearranging them and indexing them. So the next day I began.